Learn to set a squirrel snare and earn yourself a survival skill you can count on whatever card nature hands you to deal with! Learning to hunt using snares is a must-have survival skill to have since food is vital to survival. A squirrel snare, in particular, is better learned because of the abundance of this small game in the wild. Thousands of people are lost in the wilderness with no way of surviving because they didn’t anticipate these scenarios. It’s essential to keep in check your available sources of food and learn survival hunting traps. This is why we’re here to teach you how to make homemade animal traps. In particular, we will learn how to make a squirrel snare trap and how to make it work, too. Having a survival kit is a safe way to prepare for anything, indeed. In fact, a kit about the size of your phone can literally save your life. You will need an Altoids box, a mini utility knife, some matches, some bandages, and a mini compass. Also throw in a couple of small antibiotic ointment (Neosporin) packets, a pencil, and 10 feet of 24 gauge floral wire. Another very helpful item I carry in my kit is a survival card. In fact, I personally carry the UST Survival Card, and Survival Life has their own version — the Survival Business Card. It is very inexpensive, too, because it costs only $7. It can also fit in your kit with all the other supplies. On that note, I recommend having this card in your survival kit. First, you need to break the pencil in half and roll the wire around it, then take all your supplies and place them in the Altoids box. I trust you have made a nice little survival kit. It is not only handy in a survival situation but in any difficulty which arises. You might give yourself a cut and will need a bandage. You might also need to cut through something, so its uses are varied and handy, indeed. Now you got your survival kit, you might wonder, “Why do I have wire? What good will that do me?” The wire is for making traps or at this point, a squirrel snare. 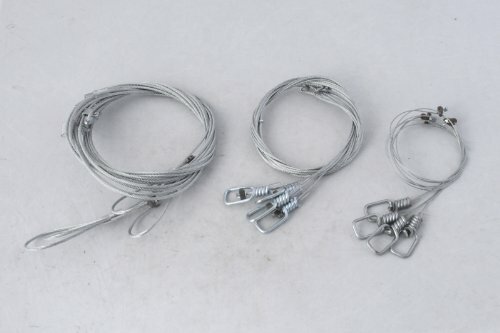 The snare trap is constructed from a cord, wire, string, line, or cable. When the animal enters the snare, the noose (loop) then tightens around its body or neck. 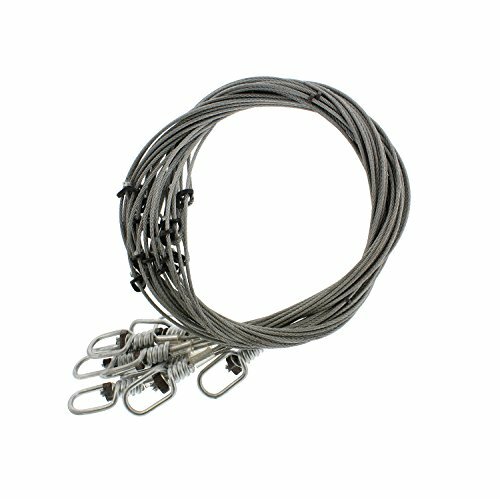 Snares can be homemade very easily or purchased online. The wire you have in your kit is quite thin, making it good for rabbits and squirrels. Yes, squirrels, because you can eat squirrels and they are quite good — that is, if you like chicken. They are a rich source of protein, too, which will save you in a survival situation. But, if you don’t know how to make a snare, what good will the wire do for you? Not much. So why not take a few minutes to learn how to make a trap for your life? A few minutes can save you for many years. Note: Make sure to consult your state laws before using a squirrel snare trap or any animal trap. A DIY squirrel snare is super simple and straightforward. With the utility knife and the 24-gauge wire in the Altoid can kit, you can make as many as your materials will allow. First, cut the wire for about 15-20 inches with your knife. Next, take a stick pencil with the wire, then wind up the wire twice around the pencil or small stick. Now, twist the loop and tie it by using the pencil, then pulling it out after. Slide the other end of the wire into the loop. Make the loop so that it fits your fist which is at about 2 ½ inches in diameter. Finally, tie the snares to the sticks. You can now set your snares and tie as many of them as you want on a stick or log for a higher success rate. Test one first to see if it works before you go. You can do this by sliding your hands in the squirrel trap. If it tightens around your hand, then you’re good to go! Let’s get this straight, it’ll be very difficult for you to catch squirrels without bait, but not unless you place your snare on the exact spot where squirrels often go. When it comes to baiting, squirrels are mostly attracted to corn, nuts, and seeds. So it really helps if you have any of these food items in forms of candy bars and snacks at all times. Tip: Place your bait behind the trap. You cannot last long without food or water because they’re vital to life! So, you must know the basics of survival, including hunting big games or trapping small ones in case these things ever happen. With skills in animal trapping, you will now feel more confident about surviving in the wild. And survive, you must! Did we miss anything in our steps in creating a DIY squirrel snare trap? Tell us in the comments section below!